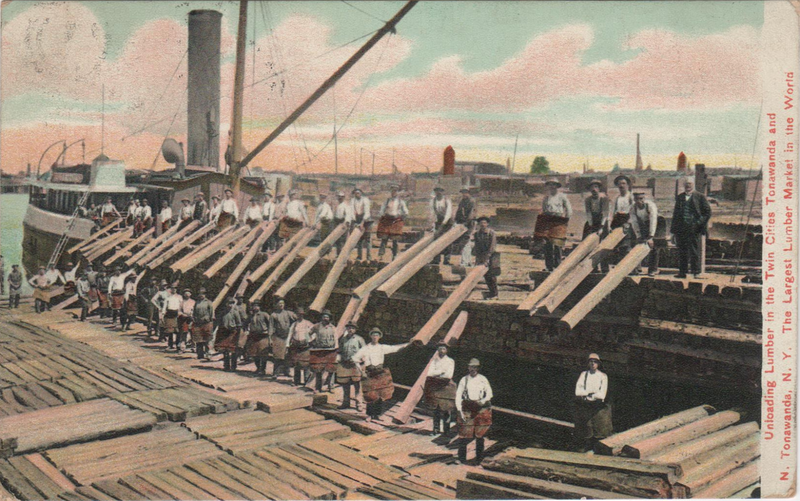 Was N. Tonawanda NY really the lumber capital of the world in 1907? Located between Buffalo and Niagara Falls, North Tonawanda calls itself "The Lumber Jack City," and once was the largest port on the Great Lakes during the height of the Erie Canal. Now here is a short tweet if ever there was one. 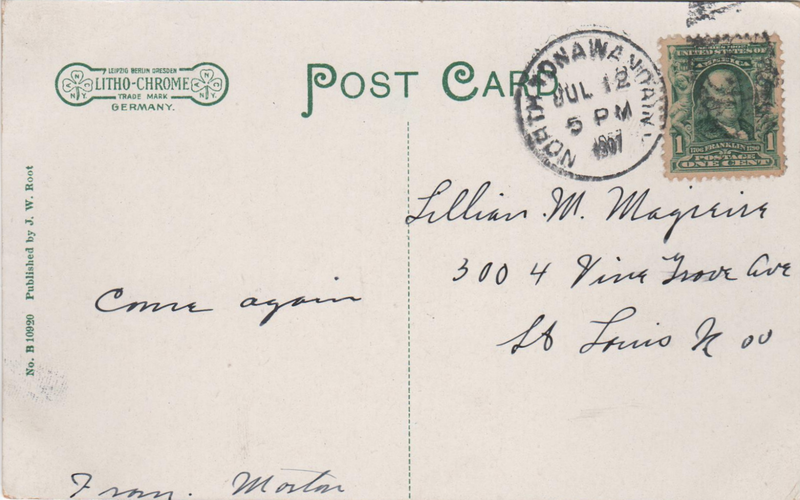 Evidently Lillian traveled to more than one place in New York on her summer trip. Hello, there, Morton! Are you family or friend?